THANK YOU!! THANK YOU!! THANK YOU!! To everyone who joined us at Wags to Riches 2018. You helped us raise some much needed funds for the dogs! Please join us for Wags to Riches 2019! The evening consists of live and silent auctions, a bag raffle, Police K9 demonstrations and a delicious meal catered by Englund's Catering. We'll also have plenty of "ambassadogs" on hand to make the evening festive! I know we all love our dogs but we have to ask you to please not bring your personal dog. Once again we welcome Peter Finch as our Wags MC! Peter is a beloved voice in the bay area and can currently be heard on KCBS. take a look at a highlights video from Wags 2017! Scroll down to browse our catalog of exciting auction items! This year we're pleased to include an Emergency Preparedness table! FOR YOUR PET IN THE EVENT OF A DISASTER? Carmen Estrada is a member and trainer with Concord CERT (Community Emergency Response Team). She has also had training in Emergency Animal Response as well. She will demonstrate and explain what you need on hand before an emergency arises along with what to do for animals during/after an emergency. Have you thought about what special needs your pet might have and how you could reduce stress on your pet? Carmen will offer suggestions on what to do and how to prepare your pet for a disaster. Do not leave them behind in the case of an evacuation! Drop by the table to learn more! 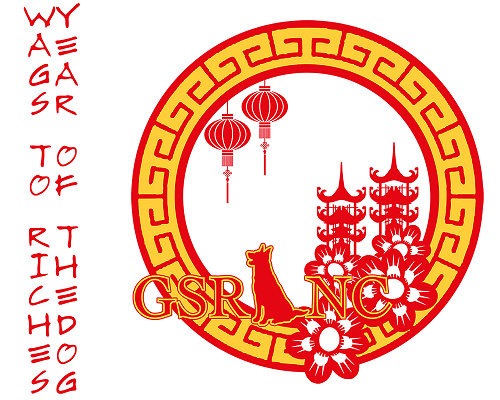 GSRNC's 2018 "Lucky Dog" Grand Raffle tickets are on sale now! Click the Lucky Dog picture for more information! *Click here for more information on becoming a sponsor! Thank you to our In-kind donors. You help make Wags to Riches extra special!